Gum disease, also known as periodontal disease, is a bacterial infection that affects your gums. If your gums are swollen or bleed easily, it is possible that you might have gum disease as these are the early signs. Having bad breath, which is usually a result from the blood and lack of oral hygiene, is also another early sign. The early stage of gum disease is called gingivitis, and if left untreated, it may progress into the later stage called periodontitis. At this stage, your teeth will become rather loose and form gum pockets, which are the spaces between the gums and teeth. Bacteria could easily get stuck in these pockets, resulting in further damage to your dental health. Therefore, it is important to treat gum disease as early as possible. Poor oral hygiene: The bacteria in your teeth will not be properly removed with the lack of oral hygiene. Hormones: Due to the hormonal changes that affect the sensitivity of the mouth, those experiencing menopause, pregnancy, puberty, and menstruation may experience gum disease. Genes: Gum disease is a hereditary condition, meaning that those with a gum disease background have higher chances of getting this disease. Health conditions: There are some illnesses that contribute to the appearance of gum disease, including HIV, cancer, diabetes, rheumatoid arthritis, and scurvy. Because these diseases have negative impacts on the immune system and the overall nutritional balance, the body becomes more vulnerable to gum disease. Medications: Some medicines make the mouth dry, and this interferes with the flow of saliva that helps protect the teeth. Tobacco consumption: Consumption of tobacco, whether it is from smoking or chewing, may cause gum disease. Tobacco reduces the strength of your immune system, which makes it easier for gum disease to appear and harder for it to heal. What Are the Risks and Possible Complications of Having A Gum Disease? The receding gums and increasing gum pockets caused by gum disease may lead to tooth loss. Additionally, some researchers have suggested that gum disease may also increase the possibilities of serious health issues, including diabetes, lung disease, heart disease, and premature birth. To avoid the risks and complications of having a gum disease, getting a proper treatment is a wise decision and a good step for better health. There are several treatments available to repair your gums, varying based on the levels of severity that each suit most. How Do Gum Disease Treatments Work? Firstly, your dentist will perform a dental exam, checking the gums’ firmness and condition, size and depth of gum pockets, teeth alignment, and jawbones. They will also conduct a dental hygiene evaluation to see if your oral hygiene has been adequate. Scaling: This is a non-surgical treatment to cure gum disease. The dentist will professionally remove dental plaque and tartar (the yellow or brown deposit on the lower part of your teeth) by using dental tools. Sometimes it takes more than one session to complete the scaling process, and when the condition is more serious, root planing is needed. Root planing: Similar to scaling, root planing is a non-surgical method to heal gum disease as well. While scaling focuses on deep cleaning the teeth, root planing aims to cleanse the area underneath your gums, including the roots of teeth. Local anaesthetic, which will make your gums numb, may be required for this process. Bone graft: Bone grafting is a surgical procedure that is needed when your teeth have been seriously affected. The dentist will take a sample of your bone from a different area of your body and then graft it onto your bone. This method is designed to strengthen jawbones and teeth that have been seriously affected by gum disease. Soft tissue graft: In cases where the gums have greatly receded, this method is used to strengthen the gums. A tissue sample will be taken from the roof of your mouth and then carefully stitched onto the affected area. 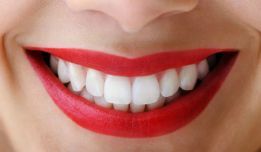 Gum contouring: This procedure is required when your gum line had become uneven due to gum recession, making it easier for bacterias to get trapped. The goal of gum contouring is to help even out the gum line and restore proper protection for the teeth. The dentist will give you a local anaesthetic to numb the gums before removing excess gum tissues using soft tissue laser. 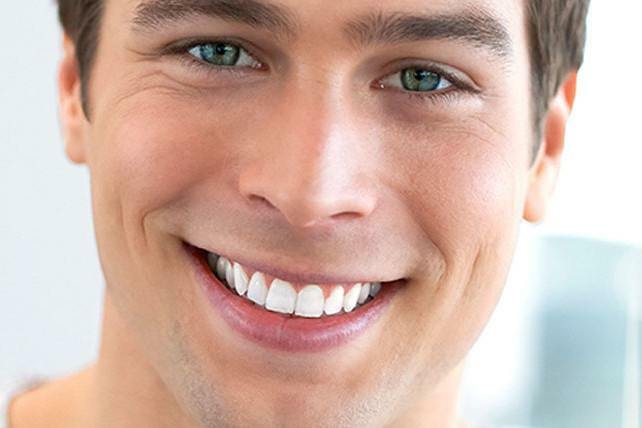 Laser: Laser therapy can be done to remove inflamed gums and reduce the size of gum pockets. This procedure does not require any incisions and stitches. After the treatment, your dentist will prescribe certain medications that need to be taken to lessen the swelling and discomfort. You are also only allowed to consume soft food and food that cannot be easily stuck in teeth, avoid hot and cold food and beverages, avoid spicy and acidic food, chew carefully on the side that is not affected by the treatment, and you are not allowed to smoke and consume alcohol for 2-14 days after the treatment. The use of straw is also prohibited as the suction will interfere with the healing process. Additionally, you will be required to rinse your mouth using salt water 2-3 times daily to reduce the inflammation. If you experience any major discomfort or swelling, contact your dentist immediately. Moreover, it is important to maintain good oral hygiene after your gum disease has been treated. Remember to brush your teeth twice a day, floss, and use mouthwash regularly to prevent gum disease from happening again. My gums are swelling but I do not feel any pain at all. Does that mean that I do not have gum disease? Gum disease is often painless, so even if you are not experiencing any pain or discomfort, you may have gum disease. How can I prevent gum disease from appearing in the first place? Maintain good oral hygiene. Brush your teeth twice daily and regularly floss and use mouthwash. Keeping your mouth clean is the easiest way to prevent bacterial infection. Can overbrushing cause gum disease? Yes. Please keep in mind that brushing your teeth too often or harshly may form ‘toothbrush abrasion’, which can form cavities that may result in gum disease. To avoid this from happening, brush your teeth twice a day and do not scrub your teeth too hard. Is age a factor that causes gum disease? In general, people above the age of 60 are more likely to have dental problems, gum disease included. Severe gum disease increases the risks of more serious health problems, such as cancer, lung disease, and heart disease. This is why it is important to treat gum disease at an early stage to prevent the body from being more vulnerable to other diseases. Can I get cancer from gum disease? Severe gum disease may increase the risk of various types of cancer. Is gum disease an early sign of oral cancer? Not necessarily. If you have a lump or sore in the mouth or throat, red or white patches in the mouth, or difficulty chewing or swallowing that does not heal after two weeks, visit the doctor immediately as these may be early signs of oral cancer. Does salt water prevent gum disease? Salt water can kill bacteria as it drains the liquid from their cells. Salt’s ability to drain liquid also helps with reducing the swelling caused by gum disease. Your gums cannot naturally grow back, although there are treatments such as soft tissue graft that can help strengthen them. Taking care of your dental health by brushing your teeth, flossing, and using mouthwash regularly is the easiest way to prevent and treat gum disease. Rinsing your mouth using natural, homemade mouthwash can also remove bacteria. Salt, lemongrass oil, tea tree oil, and aloe vera are some of the ingredients that you can use to make natural mouthwash. How long does it take to recover from gum disease? It depends on the severity of your gum disease. Some may heal in several days, while more serious cases take months to recover. Can you catch gum disease from someone? The bacteria that cause gum disease can be transmitted through saliva. Therefore, you can catch gum disease from someone through sharing drinks, sharing the same eating utensils, and kissing. 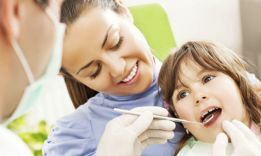 Yes, children can get gum disease. It is important to keep an eye of your kids’ dental health to prevent gum disease from happening. 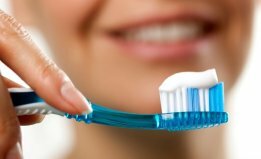 Is there any certain toothpaste that can treat gum disease? Although there is not a particular one, you can use anti-gingivitis or anti-plaque toothpaste. These types of toothpaste contain fluoride that helps strengthen the teeth and remove bacteria effectively. Do the advanced gum treatments hurt? You will feel discomfort after getting an advanced gum treatment such as soft tissue graft, gum graft, and gum contouring. During the procedure, however, the dentist will give you local anaesthetic so that your gums will not feel anything. Can antibiotics cure gum disease? No. Antibiotics can help, but you will need to properly clean your mouth area as well. This is why maintaining good dental hygiene is essential, and it is recommended to visit the dentist for a proper deep cleaning. I have maintained good dental hygiene, but why do I still get gum disease? Perhaps your gum disease is caused by genes, hormonal changes, other illnesses, or the consumption of tobacco. Poor oral hygiene is not the sole cause of gum disease. My gums bleed while brushing the teeth, should I be worried? Bleeding gums occur when there is plaque build-up. This may be a sign of gum disease. Gum disease is quite common. According to the Australian government in 2012, 22.9% of Australians have periodontitis. 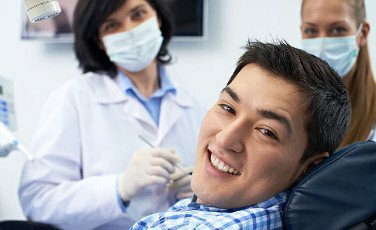 How often should I visit the dentist after a gum disease treatment? Once every six months is ideal, although perhaps your dentist would need you to have more frequent visits after getting a gum disease treatment. If you are experiencing symptoms of gum disease, or if you are interested in doing a dental check-up, schedule an appointment at Australian Dentists Clinic now before the condition becomes more serious. Professionals at the clinic will help you uncover details regarding your dental condition and they will assist you in selecting the most suitable treatment for your gum disease.